The transitional style between modern and classic and is known as “New Classic.” Some elements of both can include clean lines and a quieter classic style. It marries simple and elegant elements. Transitional designs take the traditional and make it feel soft and warm. In other words, transitional is a bit of both modern and traditional, which is a very common style. Furniture, paint, and rugs no longer follow one single style. Many people are placing more contemporary furnishings in traditional Brownstones, which may have been considered heresy years ago. Transitional is the dominant style today (unless you are trying to emulate an Apple store). 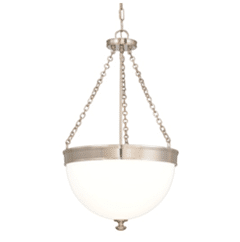 These stunning pendants are 14”d by 24” h and add chain and canopy. Over a 36” high island and up 32 inch off the counter, you will need to have a minimum of an 8 foot high ceiling. 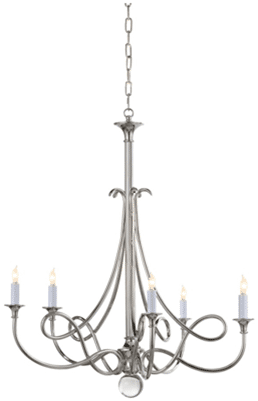 This is also available in a larger 17”d for over a Family Dining Table. 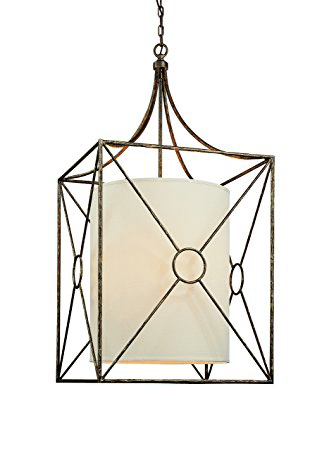 This pendant is a great style for elongated tables. This is a signature piece of the transitional style incorporating traditional arms and more modern accents. 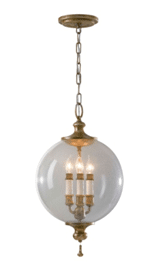 Glass globes are back in style in various prices and options. 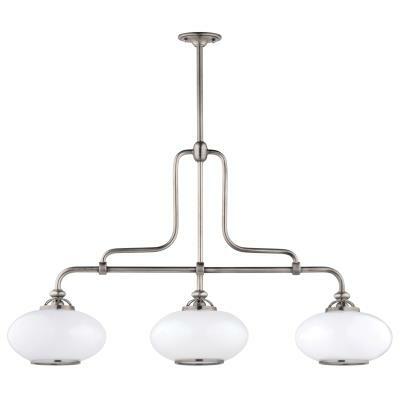 The Perfume Grande from Tech Lighting is a line voltage pendant 8.5”d by 18/5”h comes in clear and clear/white and smoke and all white for $713. Tops can be clear with a white bottom to cut glare. The style has a sleek Contemporary line with a Marrakech feeling, pulling the classic cabinets to a bygone era and adding a bit of whimsy. The whole design is a lovely transitional look. You should now be able to identify with the transitional style. 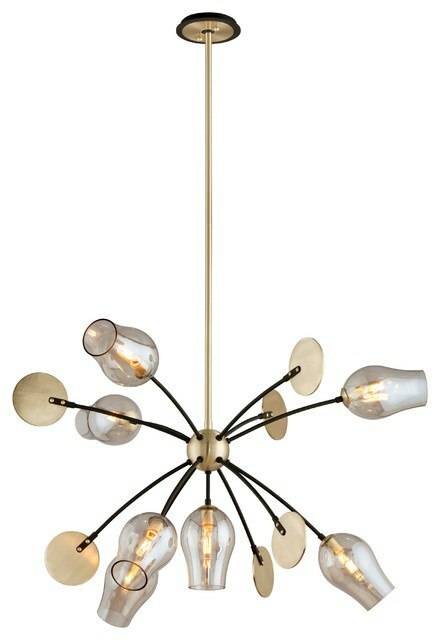 Congratulations, you have tons of lighting to consider, because almost every light can work. One small word of caution: It is hard to decipher the difference between a good light and one of lesser quality. It is also difficult to rationalize the cost between a $200-700 light. You may want to look at lights in a showroom (you can always buy online later). Have questions about lighting your kitchen? 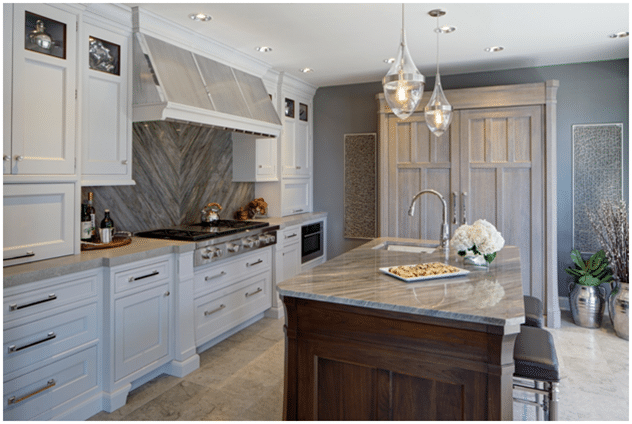 Read the Yale Kitchen Lighting Guide with details on light layering, recessed, track and placement of under cabinet lighting. We show you plenty of pictures to show you how. Well over 200,000 people have read a Yale Guide.